I can’t tell you how excited I am to finally get to see, touch, stroke and drool over my Brit Bee Medallion! This Brit Bee ’round robin’ type project started almost 2 years ago (Sept’13). 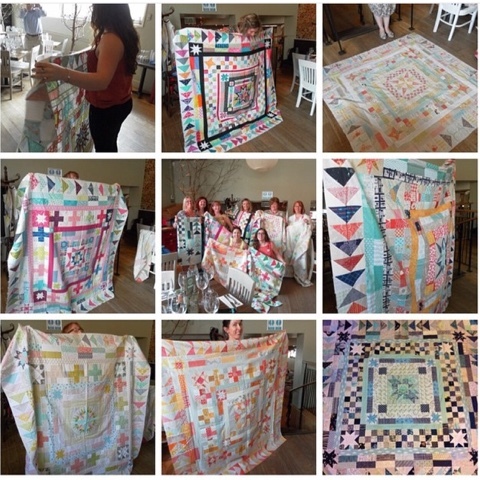 We all worked to the same design (thank you Hadley), made our own centre block, and then waved goodbye to it as it got passed along 11 more ladies to add borders and work their magic. This means we have all contributed to each others medallions at one stage or another. The medallions were exchanged in person among those who were able to attend Terri’s Memorial Service yesterday. For those of us not able to make the handover in person, we opened ours at the same appointed time! A true bee event! I’m ridiculously pleased at how well my Brit Bee buddies have interpreted my tastes and fabric likes from just my centre block and a few scraps of fabric! The original inspiration for my medallion was the new wallpaper in my front room and the medallion is TOTALLY PERFECT in that room, right down to the little birdies in the corner stars! Crazy perfect! I have no clue how I’m going to back or quilt this beauty, so I think I’ll just gaze at it a while longer! 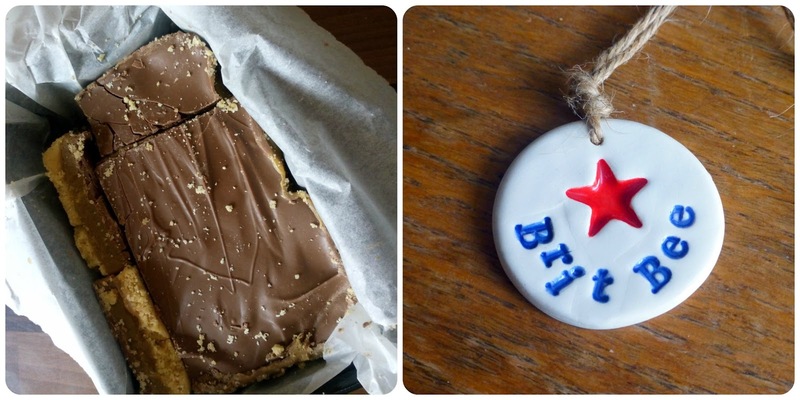 And the other special post I received yesterday were THE BEST Millionaires Shortbread ever (thank you Trudi) and the sweetest ceramic medallion from Di! I’ll leave you with a glimpse at some of the other medallions (pic by Hadley). Brit Bee forever! Previous Previous post: Blocks and Bumps!